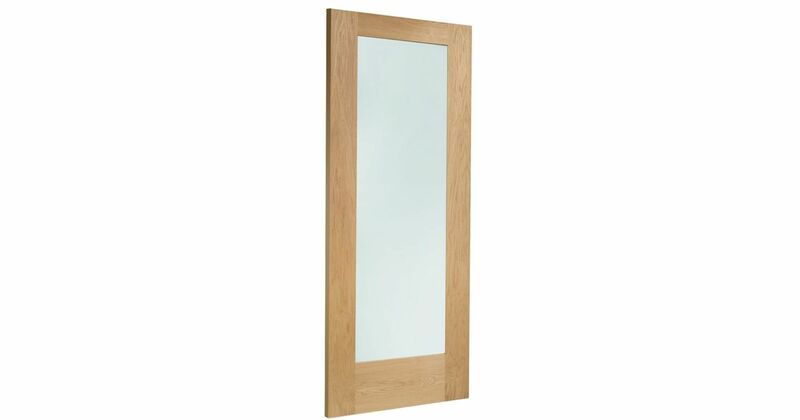 A Contemporary Double-Glazed Oak Door with a Large Clear Glass Unit. XL Oak Glazed Pattern 10 Door Codes - DGOP1030-44 - DGOP1032-44 - DGOP1033-44 - must be treated to manufacturer's instructions. - We cannot exchange Oak Glazed Pattern 10 External Doors after order - XL Pattern 10 Glazed Unfinished Oak External Doors are supplied as a Special Order. We cannot exchange any XL Door once work has commenced; XL Joinery Pattern 10 Glazed Unfinished Oak External Doors are supplied as a Special Order. Carrier Delivery of XL Pattern 10 Glazed Oak Doors is not possible.